Extension: any work that explores and refines learning in new contexts or integrates and expands on classroom learning. Under the category of "practice," students are expected to read at home for at least 20 minutes per day. 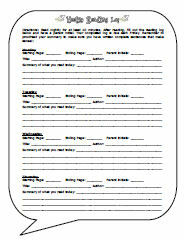 Students are asked to complete a log sheet for four nights of reading each week, and have a parent initial the sheet to verify that at least 20 minutes of reading took place. Also under the category of "practice," students are expected to complete 3-4 sheets of math review homework every other week. This work is part of our class' small group "Guided Math" program. 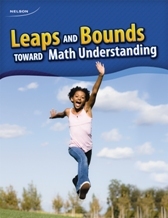 The resource for Guided Math is Dr. Marion Small's Leaps and Bounds: Toward Math Understanding for Grades 5/6. At the beginning of each topic in our regular Grade 5 and 6 math program, students will be asked to complete a diagnostic test assessing how well they remember the math concepts they learned in prior grades. Guided Math groups, geared at reviewing earlier math concepts, will be created based on the results of each diagnostic test. Guided Math groups meet with the teacher once a week, during an extra math period. Students who don't understand how to complete the math homework may bring it back to class and receive additional tutoring during nutrition breaks or recess. Review, through small group Guided Math and Guided Math homework, will make it easier for each student to build upon his/her knowledge during our regular Grade 5 and 6 math program. In addition to the above, at times students will be expected to study at home prior to taking tests. Unfinished work and occasional home projects may also be assigned as homework throughout the school year. Bringing School Home: How can I help my children with their homework? For information about the other elements of our math program, see the math program overview published to this BLOG last school year. Previous article: More Schoolyard Biodiversity!